This is a high performance acoustic water leak detector which is well known for its durability and robust design. It has been 10 years since the HG-10All went on sale and it has built a solid reputation due to a useful hand-switch and light weight sensor. It allows for quick and accurate pinpointing of the actual water leak. 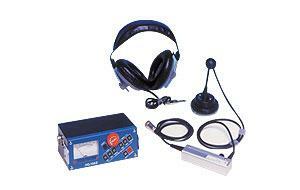 The HG-10All professional water leak detector also has an optional 3 contact rod for water leak surveying.